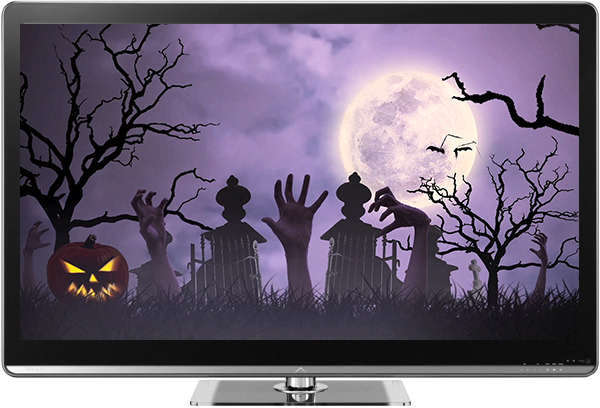 With this app you can set a moving Halloween background for your TV with a Chromecast device. Cast live backgrounds to your TV. 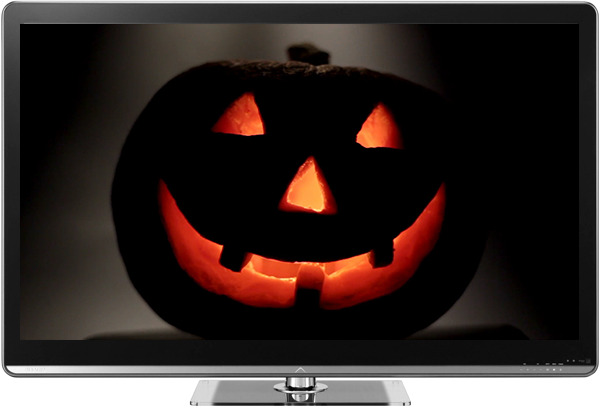 You can pick a rotating Halloween pumpkin (jack-o’-lantern) or a spooky graveyard scene. There is some spooky music that sounds while the scene its displayed. We hope the developers add some other backgrounds and sounds, since it is not free and have only two of each right now. Note: That nice complement for your Halloween party its NOT free ($1).